WALK TO BETHESDA!!! Coming Soon! Another Arts & Crafts masterpiece built by Douglas Construction Group (voted Best Green Builder (2014) & voted The Face of Custom Homes (2016) – by Bethesda Magazine readers). 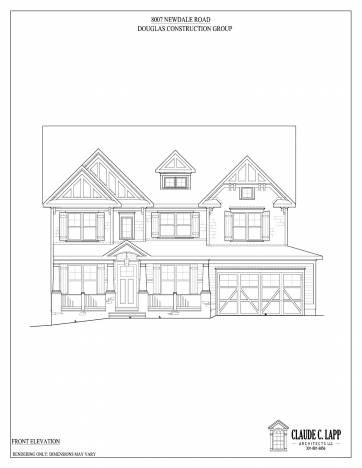 Over 5,400 finished square feet on 4 finished levels, 6 bedrooms, 5.5 baths, gourmet chef’s kitchen, family room with fireplace & built-ins, mud room with built-ins and library. Upper level contains the master suite with his & her’s walk-in closets and a gorgeous master spa bath. Homework/study area. 3rd level loft with bedroom, full bath. Finished lower level includes 6th bedroom, full bath, huge recreation room, exercise room. Attached garage, great rear covered porch and private fenced in rear yard. Across from the Park! Boasts many of the award winning DCG fixtures, finishes, details, wow factors and care in all aspects from design to delivery. Floor plans are posted below.